In honor of my work trip to Mexico last week (yay! for checking another country off the list, only 3 more to go to meet my bucketlist goal! 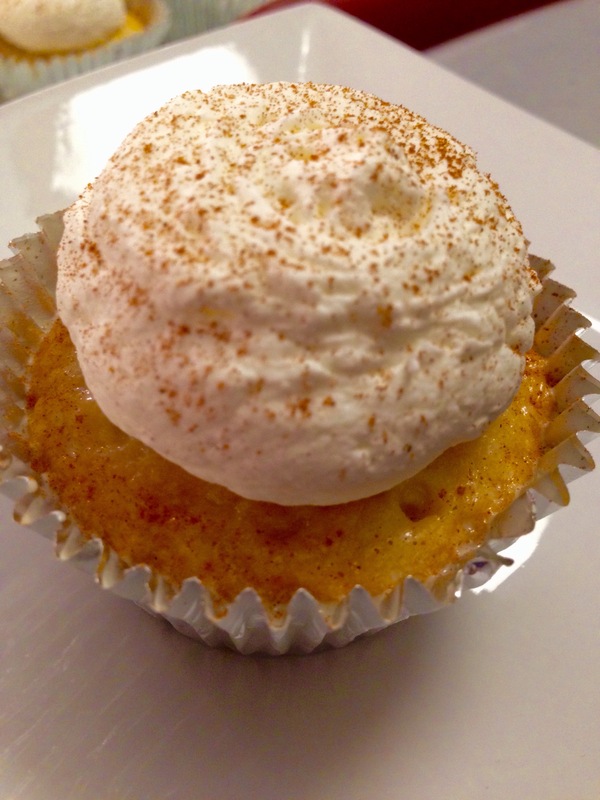 ), I thought I’d share with you some delicious Tres Leches cupcakes I made a few weeks ago for a Taco themed party. Making a tres leches cake or cupcakes had been on my to do list for quite a while, but I wasn’t quite sure how easy/hard it would be. Turns out, they’re surprisingly easy to make. Just make the cupcakes and then drench them in the three milks mixture add some whipped cream and you’re all set! After some internet research I settled on trying the recipe from Taste & Tell, whose recipe actually came from Martha Stewart’s Cupcakes cookbook, one of my favorite books for cupcake ideas. The base cupcake was a bit different than your typically yellow or white cake, but it came out great. I used the metal liners just to make sure I didn’t end up with the milk mixture all over my counters. It took about 3 rounds of adding milk until I ran out of the mixture and it stopped absorbing. Isn’t it great when a recipe is spot on like that? 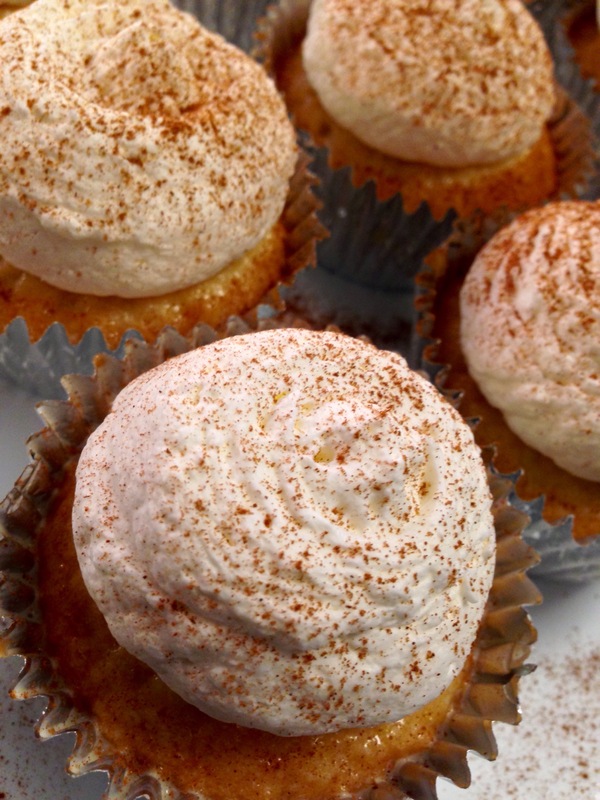 I topped them with whipped cream using a large round tip and then sprinkled them with cinnamon. They were an absolute hit, not only at the party, but also the next day at work. I can’t wait to try making them again with some fun flavor profiles like chocolate or coconut!